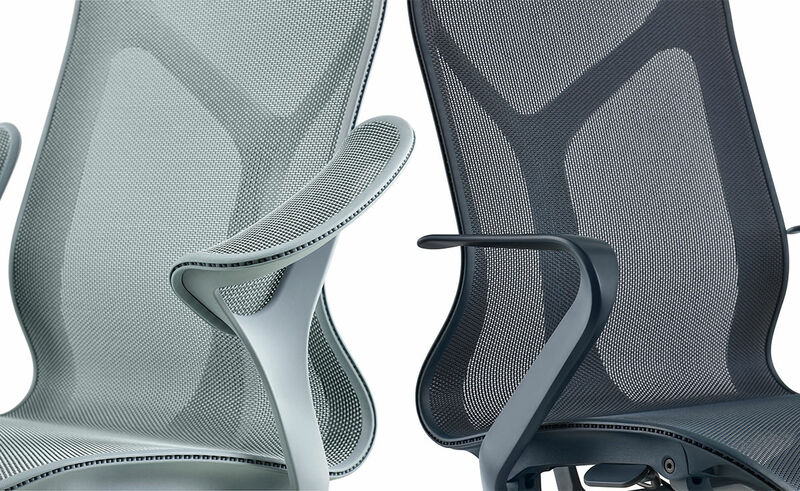 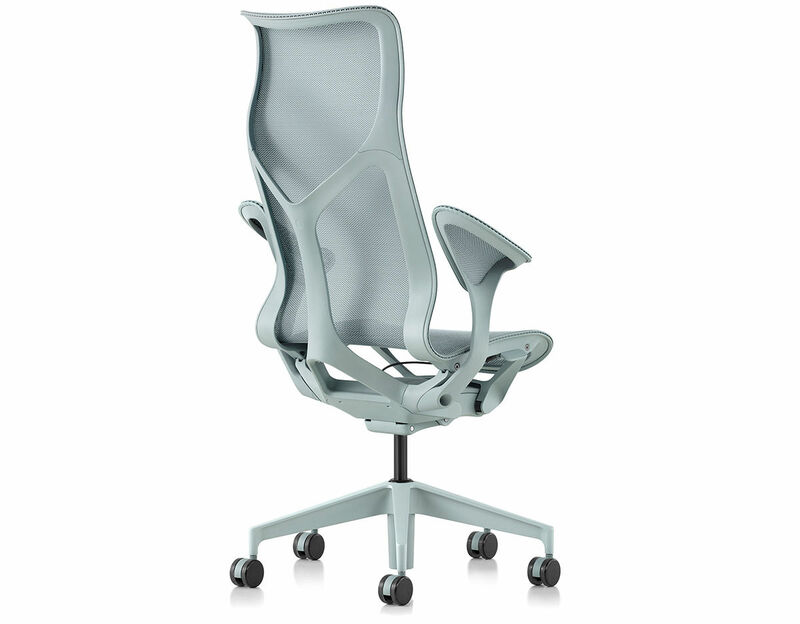 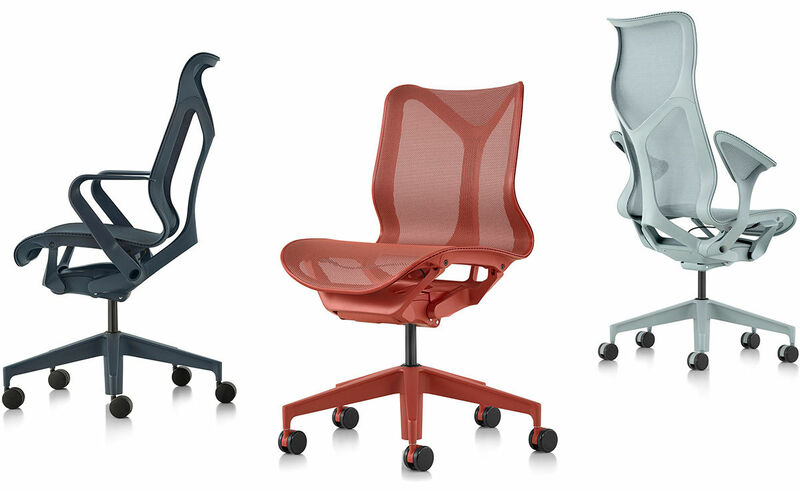 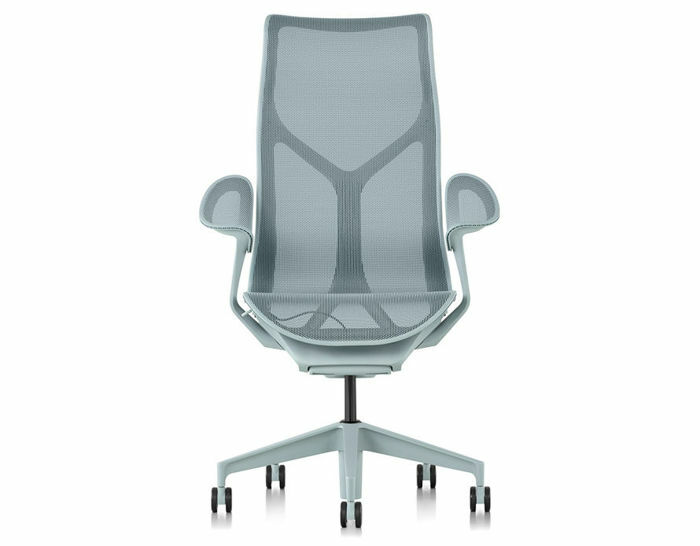 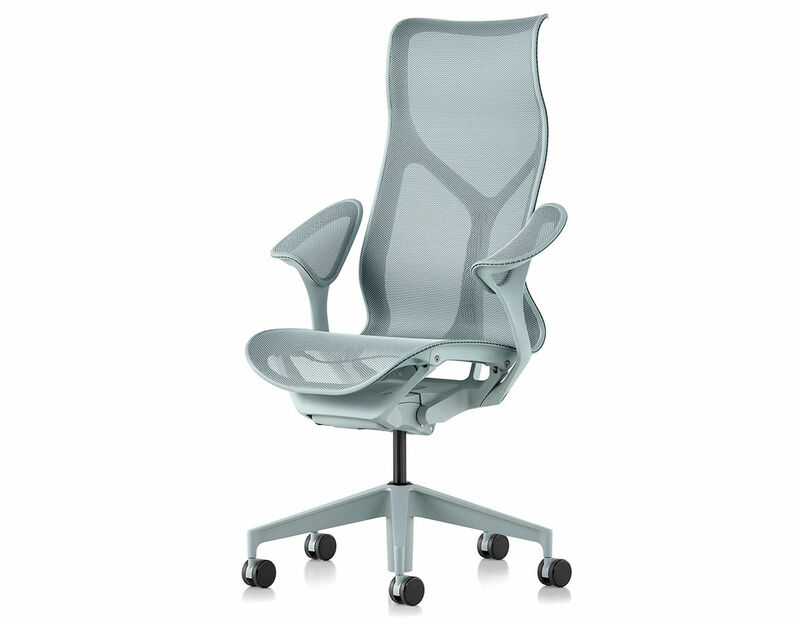 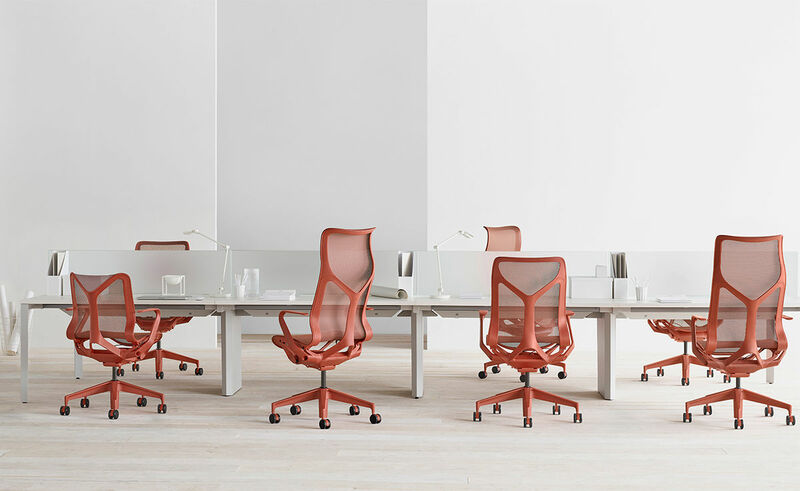 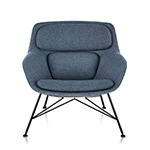 * Cosm Chair, Dipped in Color has one hue from top to bottom - nightfall, glacier, or canyon. 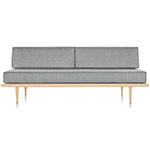 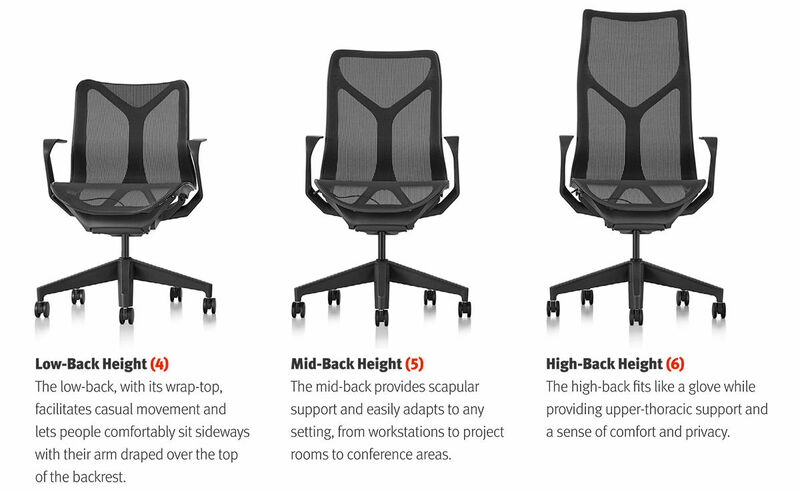 * Arms - Any back height can be paired with any arm option. 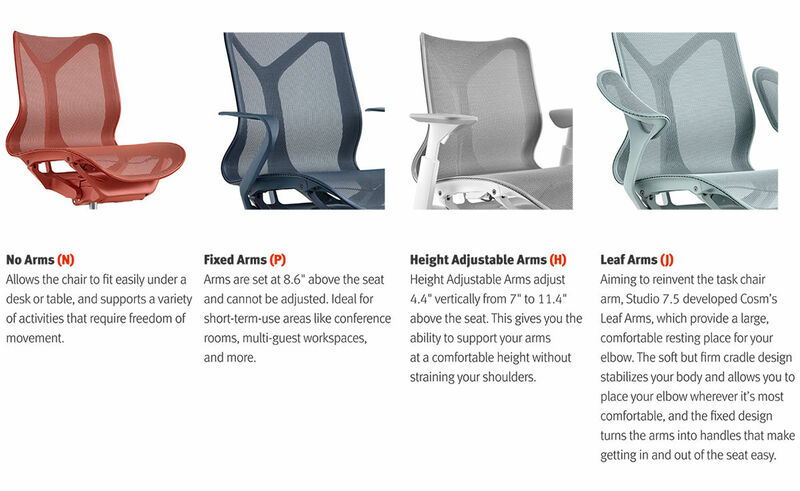 Arm options include no arms, a fixed (nonadjustable) arm and the innovative leaf arm. 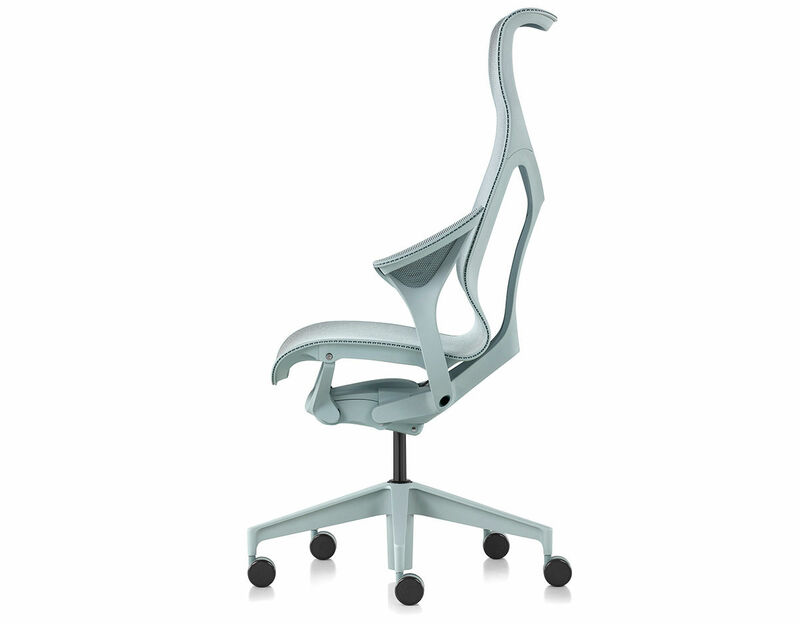 Leaf arm is nonadjustable and supports your elbow while also clearing the work surface due to the angled arm position. 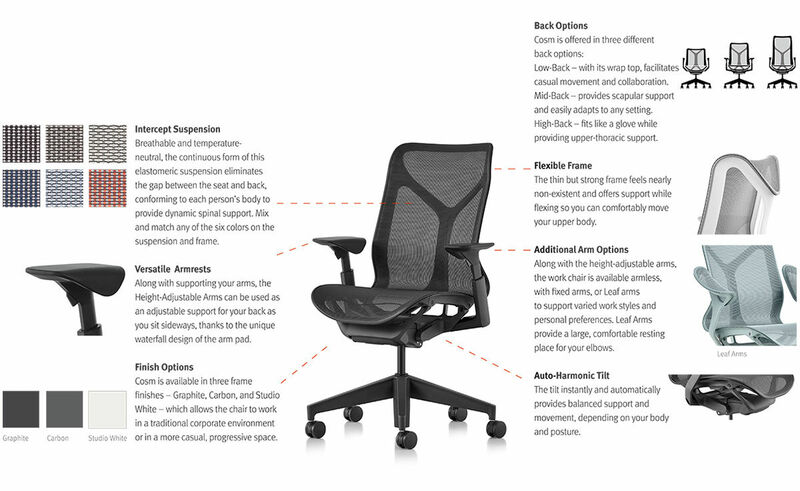 * Height-adjustable arms are only available on the graphite, carbon, or mineral frames. 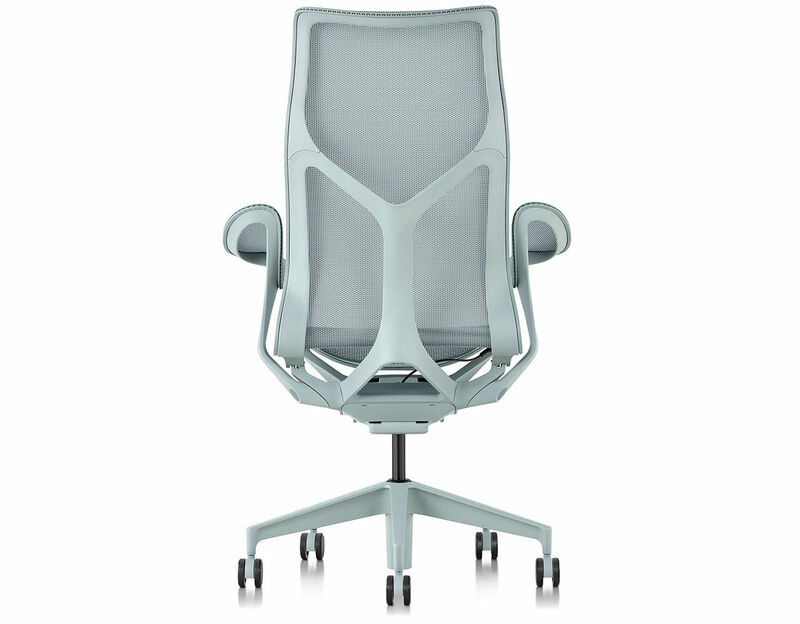 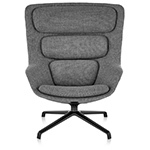 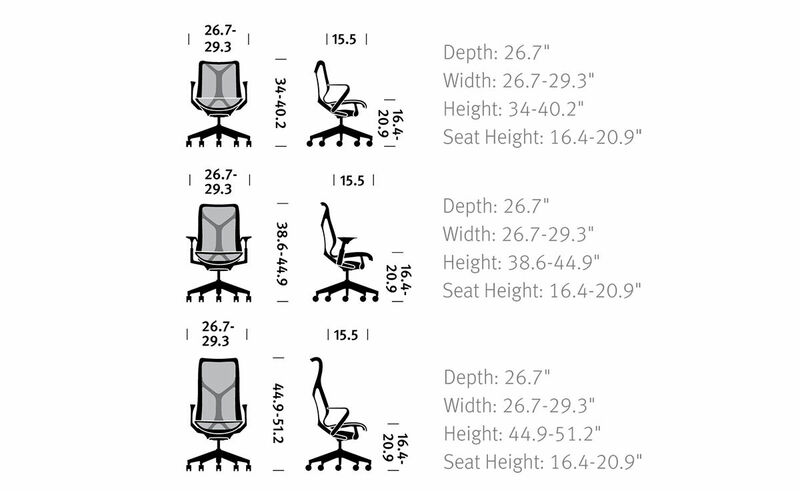 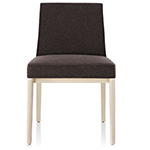 cosm high back chair: 26.7" - 29.3" w | 43.3" - 51.2" h | seat: 14.8" - 20.9" h | 15.5" d | 49 lbs. 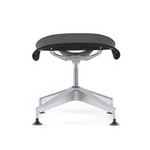 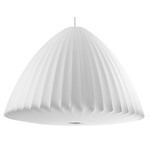 $1,220.00 + free shipping in the continental U.S.